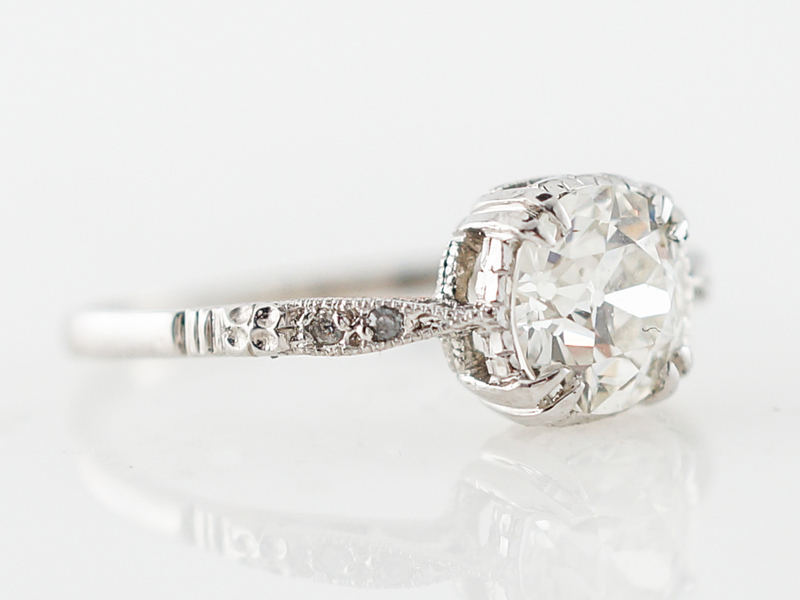 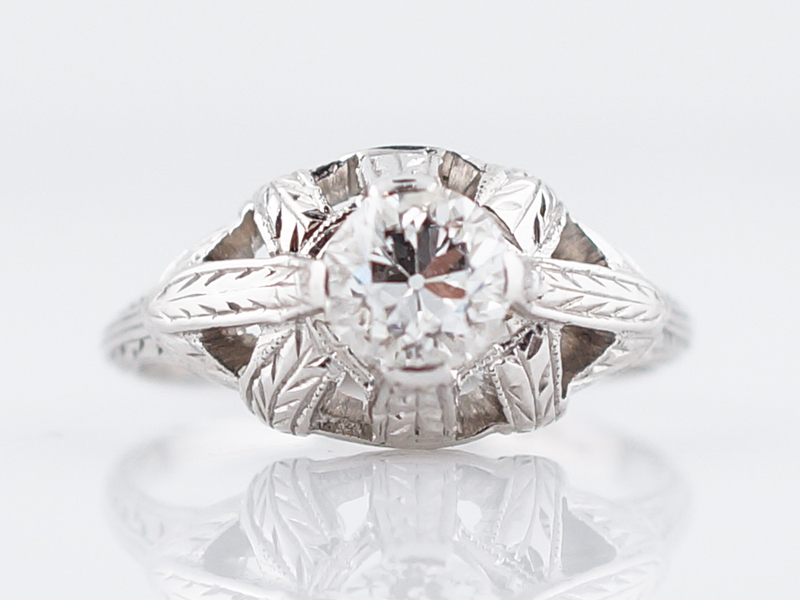 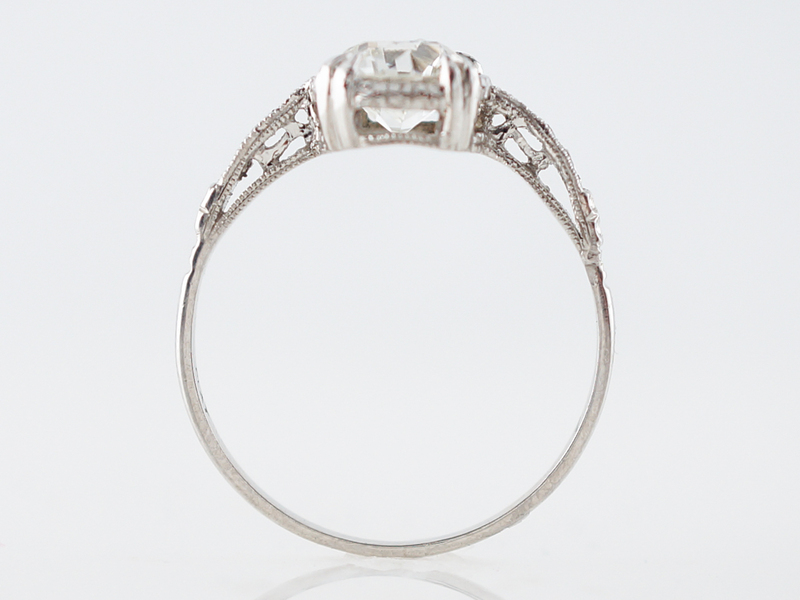 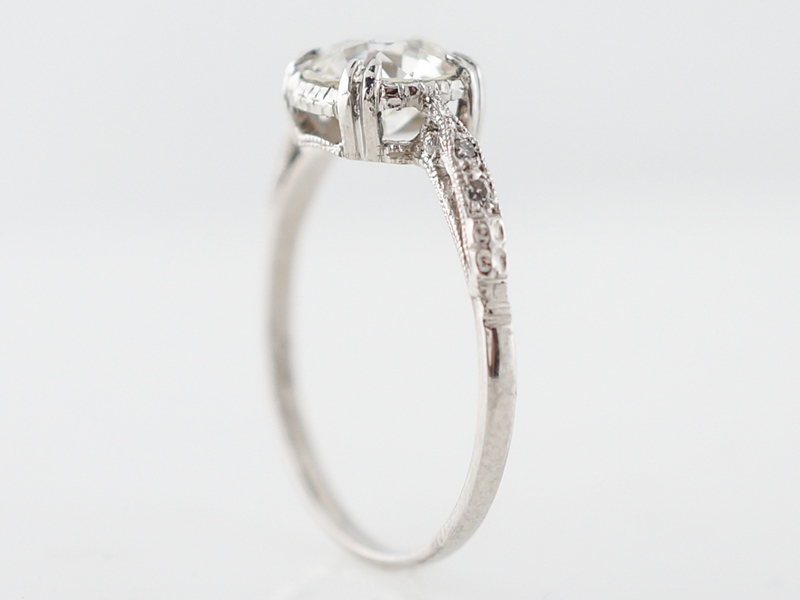 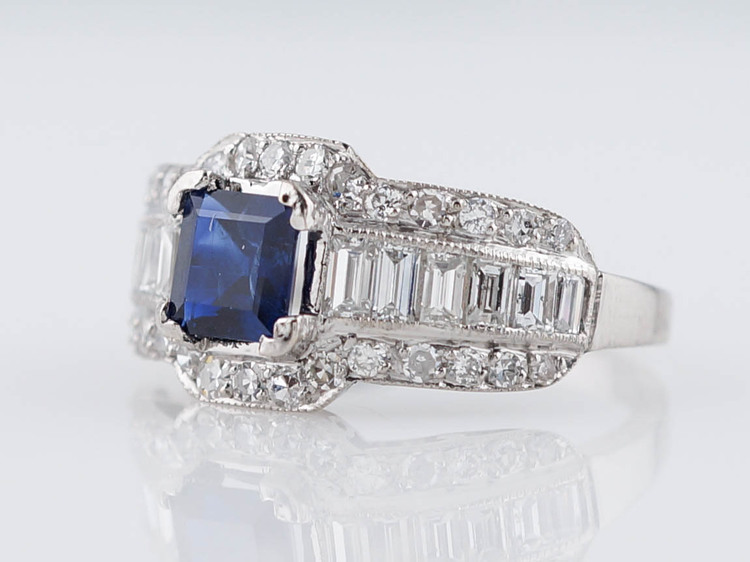 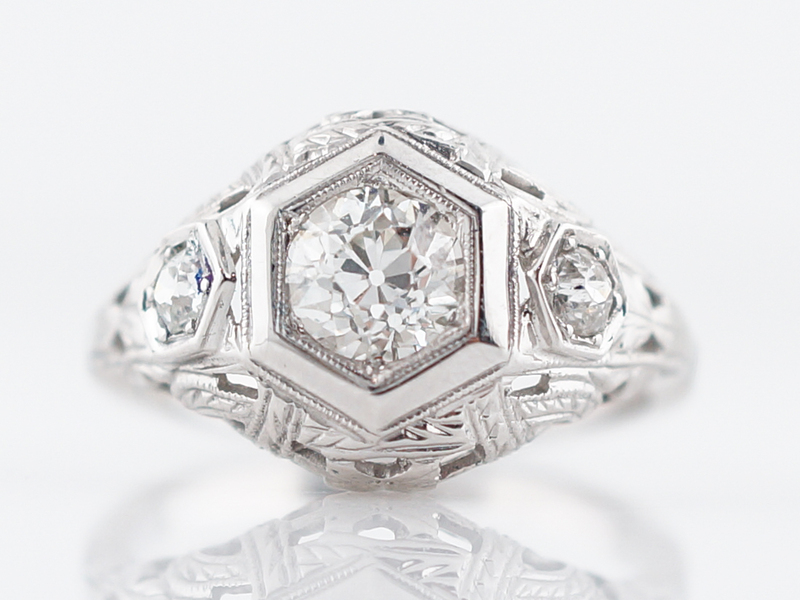 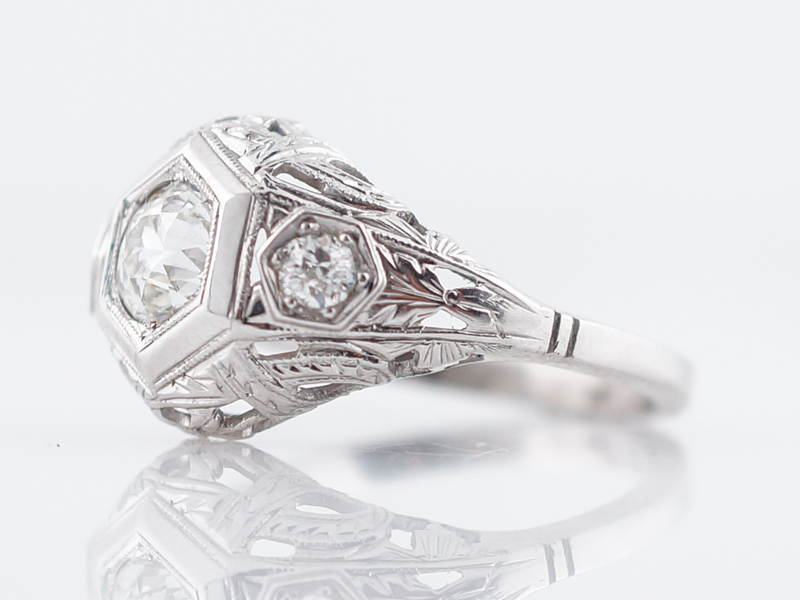 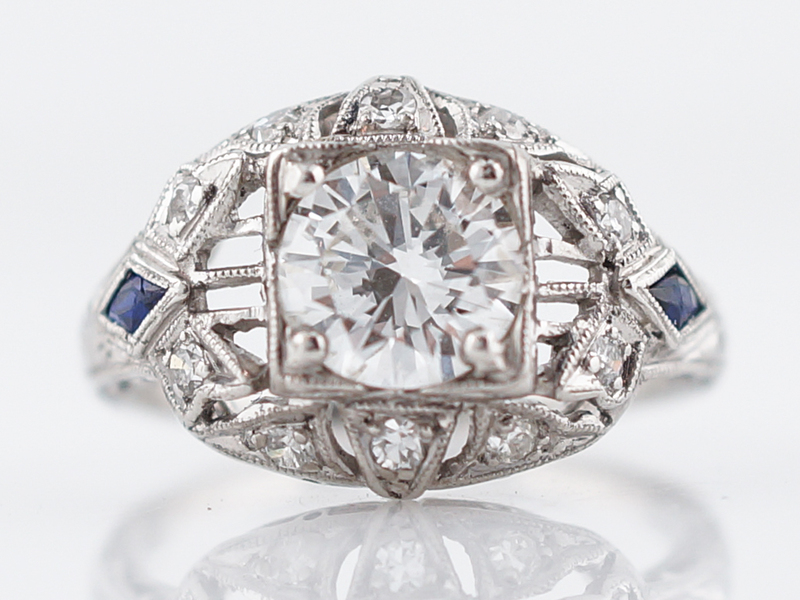 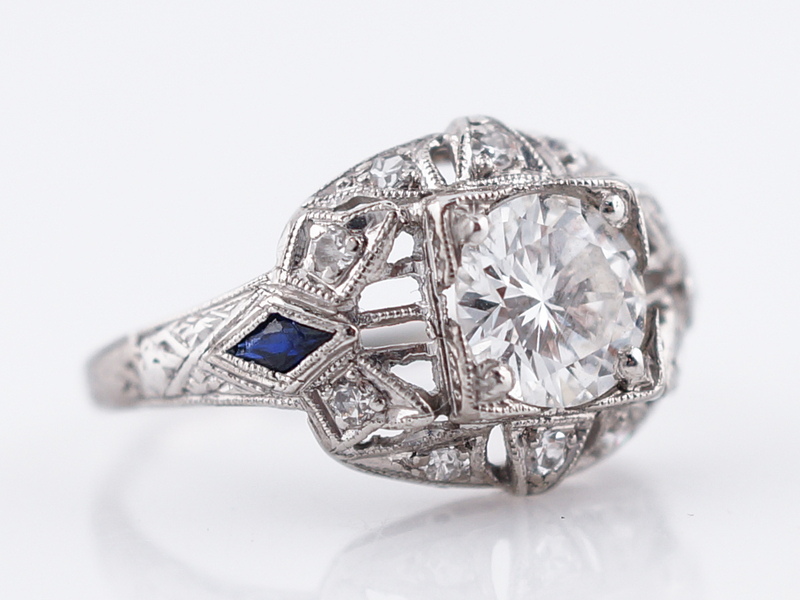 This original vintage art deco engagement ring features a stunning 1.04 carat old European cut diamond. 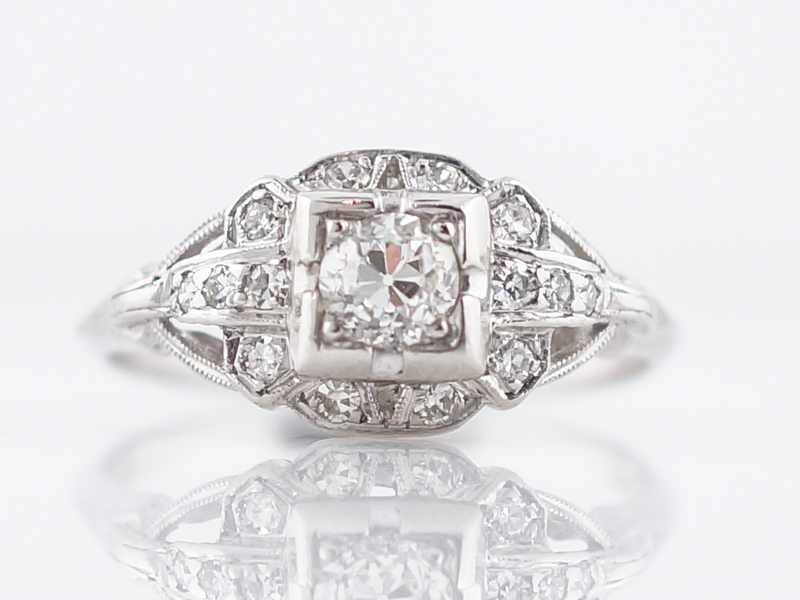 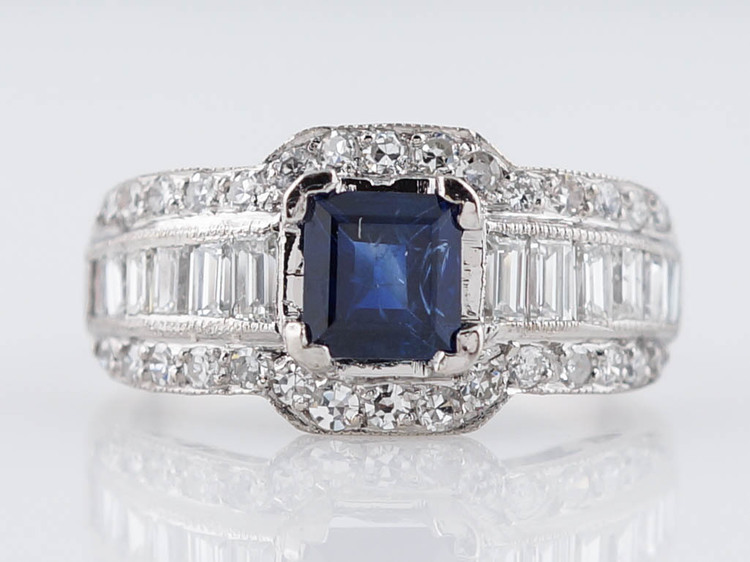 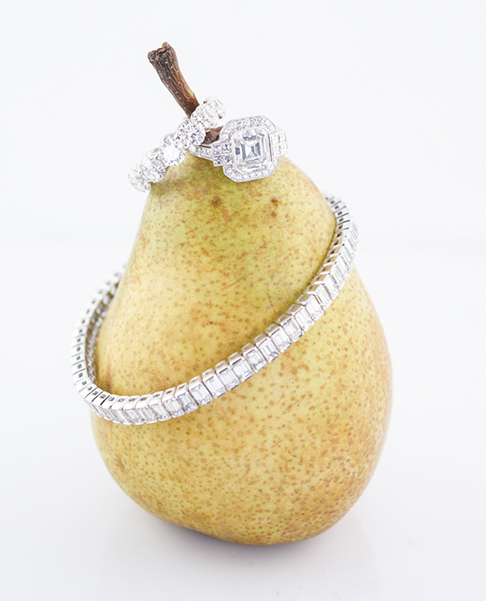 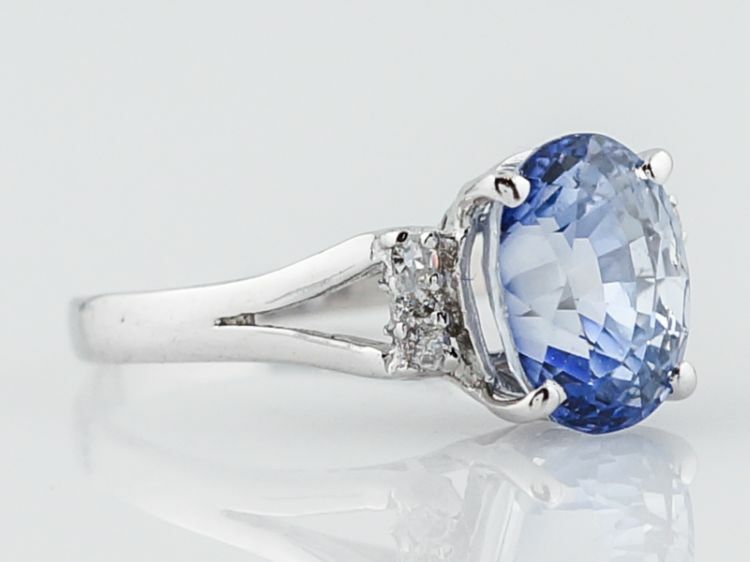 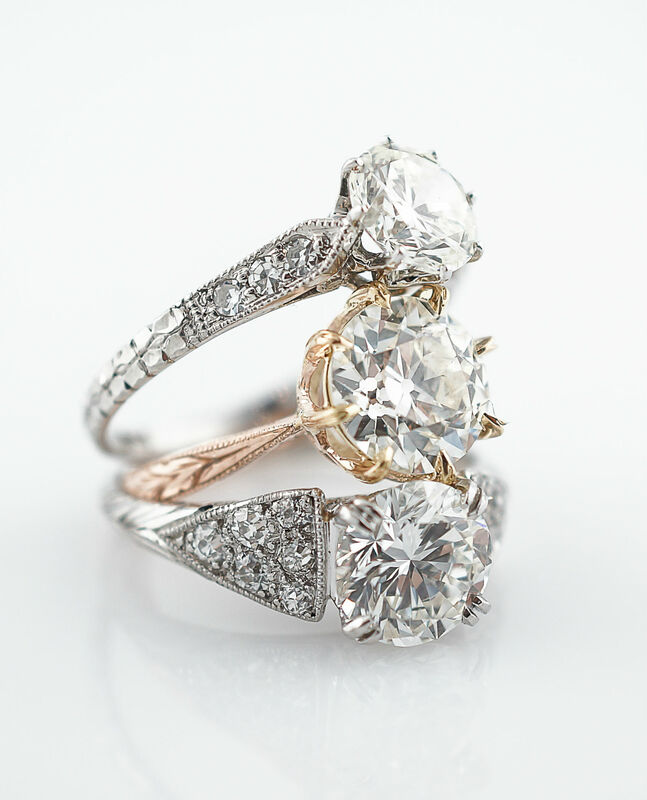 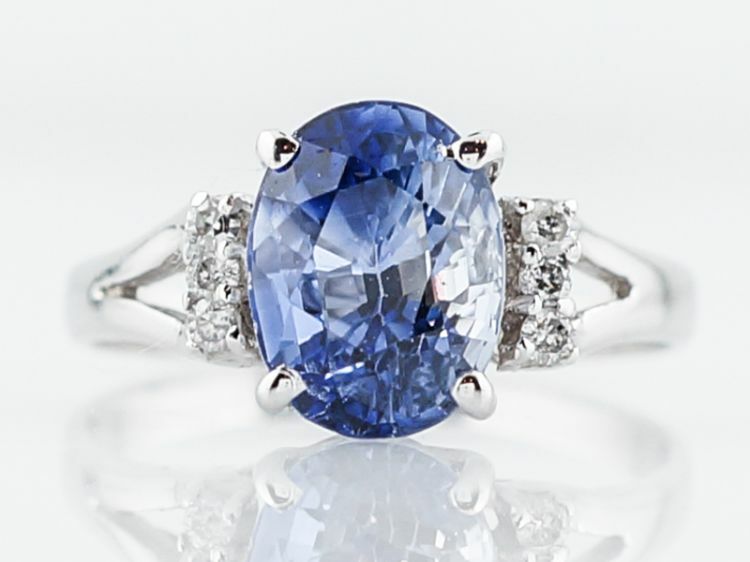 The center diamond is held in a 4 prong basket and is accented by two diamond accent stones on each side. 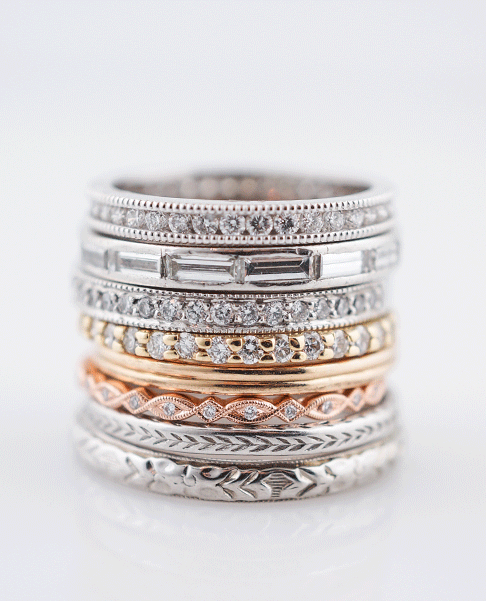 The band tapers from the top and has lovely original milgrain detail. 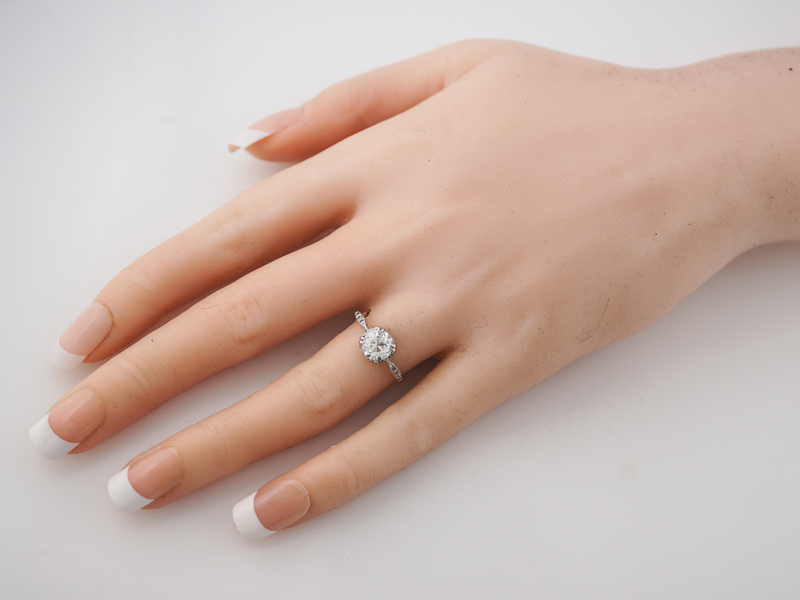 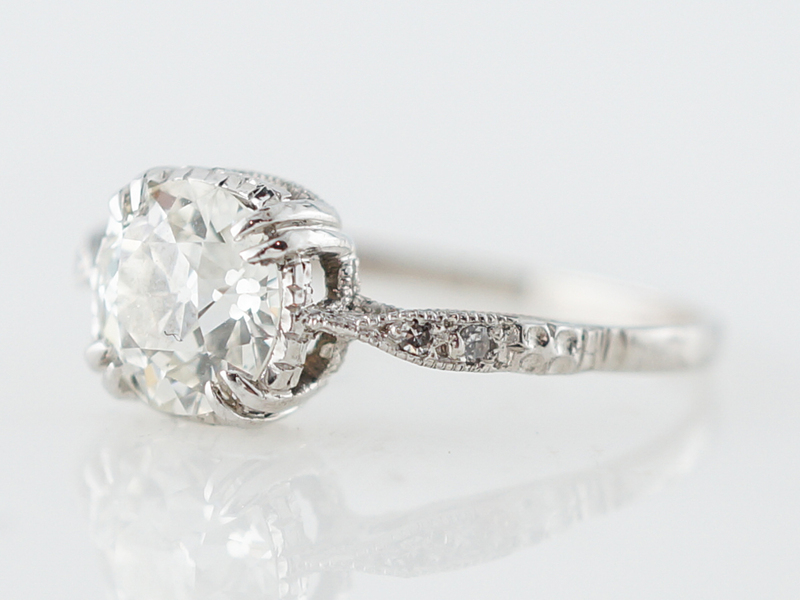 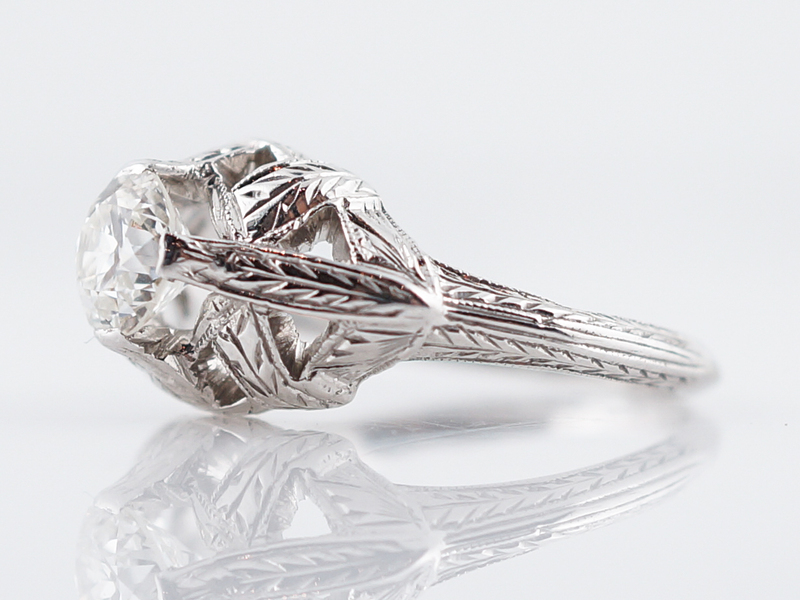 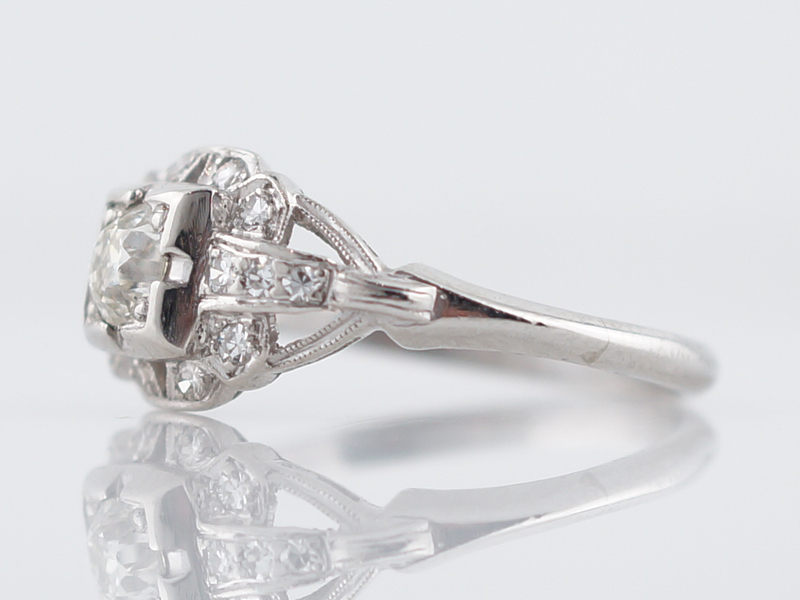 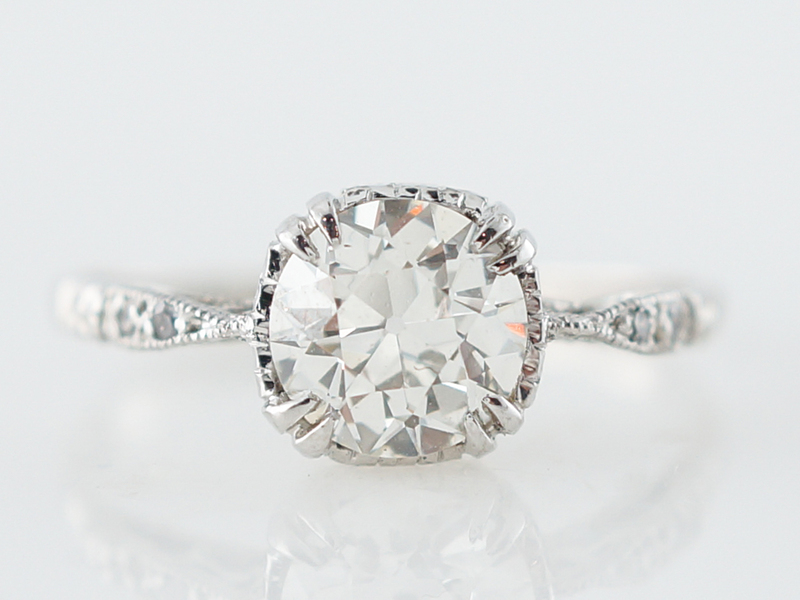 Finished in platinum, this incredible solitaire engagement is a beautiful find from the art deco period.